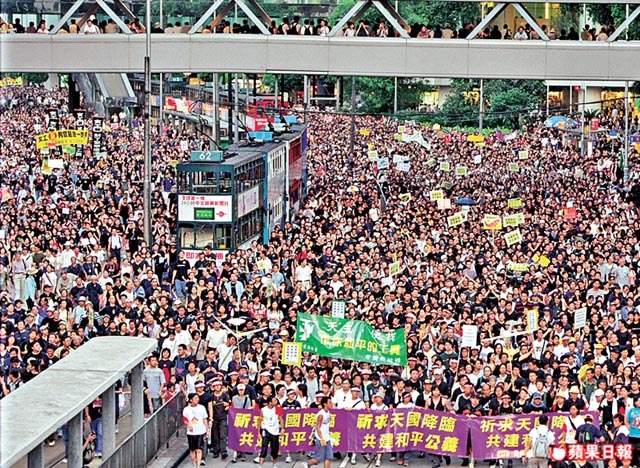 SARS was the reason so many people attended the July 1 protest in 2003, Chair of the New People’s Party Regina Ip Lau Suk-yee said during a commercial radio programme on Thursday. Regina Ip. File Photo: Stanley Leung/HKFP. 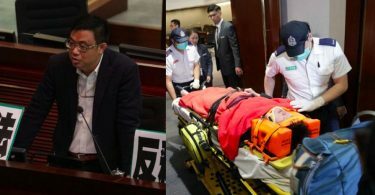 On the show, hosted by former LegCo president Jasper Tsang Yok-sing, Ip recalled the pro-democracy protest held in 2003 against the enactment of Article 23 of the Basic Law, Hong Kong’s ill-fated anti-subversion law. The pro-Beijing lawmaker held the position of security secretary at the time, and initiated the government’s attempt to legislate Article 23. Her effort was met with a huge backlash as 500,000 people took to the streets. Her bill was shelved and she later stepped down. 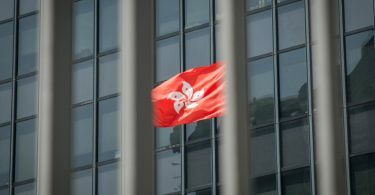 “It was near the end of June when the World Health Organisation (WHO) removed Hong Kong from the list of infected areas,” Ip said. She said the city was quiet before then and no-one dared leave home owing to the pandemic. Protest against Article 23 on July 1, 2003. File Photo: Apple Daily.